Kashmiriyat was killed in the Valley the day half a million Hindus were terrorized to leave their ancestral homeland and compelled to become refugees in their own country. The jihadis militancy in the Valley must be viewed from the prism of geopolitics, i.e. the global jihadi discourse, territorial ambition of Pakistan, and strategic imperatives of powers like China. This is a second post which exposes how money plays its part in Jammu and Kashmir politics. The previous post, a leaked Wikileaks cable, revealed how money is regularly being paid to political players in the state. This post is aimed at those naive journalists/editors (or pretending to be naive) who are shocked at former Army Chief Gen VK Singh’s statement that Army paid certain ministers in J&K government to maintain stability in the state. The only surprising thing about his statement is that for the first time the admission has come from an official level and that too from a former Army Chief. 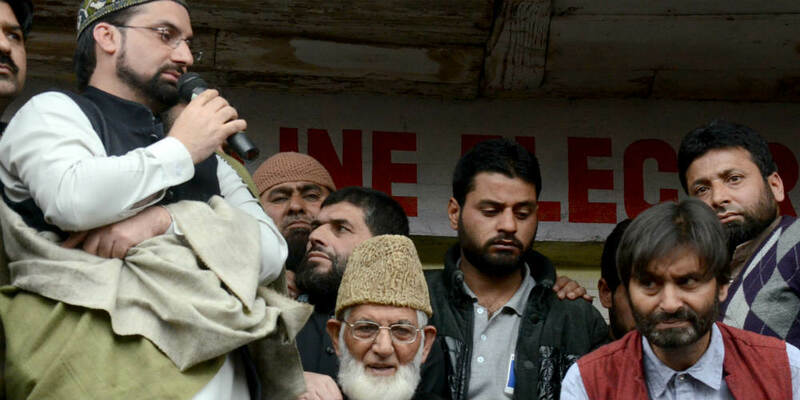 The bogey of increasing international pressure is being crafted from within to target Indian public opinion at a time when dialogue with separatists is going on and Pakistan is unraveling from within. A section from within the government and the political establishment wants to present a compromise in Jammu and Kashmir as a deliverance to the nation from a perpetual confrontation, even if it means abandoning its frontiers, its people in the state, its civilisational responsibility, central features of its eco-heritage, secularism and everything which India stands for.